Natural Homes is a not-for-profit organisation that redresses the marketing balance between sustainable and unsustainable businesses by providing environmentally ethical, but often less profitable, natural builders, crafts people and environmental organisations with free access to a mainstream audience. Natural Homes writes about using natural materials for living a healthy lifestyle. We provide a platform, not only for the world's natural builders to share their work, but also for the people who base their lifestyle on natural living principles. We currently publish in fifteen languages in facebook with some languages also published here on our website. To enjoy our work in your language please select from the two character language code under the main menu. Collectively the Natural Homes Family have many years of experience in all aspects of natural building and many aspects of natural living from feng shui to growing apples and from architecture to re-stringing a straw bale, with pretty much everything in between. 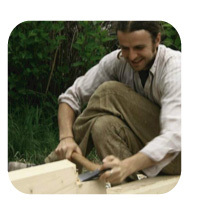 Max left his native Denmark in 1989 and settled in the woods of the Pacific North-West of America for five years where he got his first introduction to Natural Building from the Cob Cottage Company. He then lived in Norway before moving to Czech Republic in 1999, where he founded PermaLot a non-profit permaculture land trust which evolved into the PermaLot Centre of Natural Building. 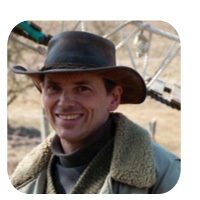 He is consultant and natural builder and has arranged two European Natural Building Colloquia and hosted the European Straw Bale Gathering in 2011. Inna grew up in Kazakhstan, USSR later moving to live in Siberia where she was selected for Olympic training as a gymnast. 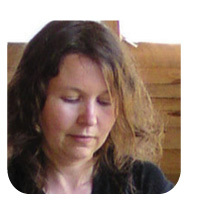 Inna developed a love for art and moved to St.Petersburg to attend the Academy of Industrial Art. 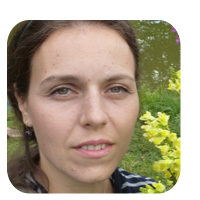 Inna left Russia to live in the UK where she has been involved in straw bale building projects with Amazonails [now Straw Works and Straw Build] and Chug Tugby. Raluca is an architect in Bucharest, Romania. She has a passion for designing homes based on natural materials and traditional design. Xavi is based in Amsterdam since 2006 where he runs his natural building company xavi eco. The company is whole-heartedly committed to sustainable construction principles. Using healthy construction techniques and materials with low environmental impact. In the last four years working together with Christo Markham they have completed several projects. 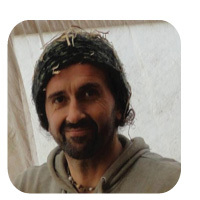 Since 2011 Xavi Rodriguez started to collaborate with several groups to publish articles on natural building, which resulted in an article on earthen plasters published in the magazine Ecohabitar. Kostas worked as an economist until 1990 when he decided to live greener. Since then he has lived on his natural farm, builds natural homes and organizes sustainability workshops. Satomi lives in a tiny hamlet in southern New Mexico, USA. In the small town where she lives natural building has taken a foothold with her home as the jewel of natural building. 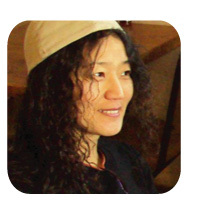 Satomi, with husband Tom, have made a name for themselves over the years by doing high quality work in straw bale building, timber framing, natural plasters and earthen floors. Peter uses and studies the application of all the available local natural materials through his work. Most of his natural building is repairing old and new buildings with clay plasters, clay walls, wooden organic furniture and green roofs. He cooperates with sustainable architects in Slovakia through his company Organica. Peter also works with the Scouts, Slovakian Friends of the Earth and several other environmental organizations. Here is some of his natural building work and community work.